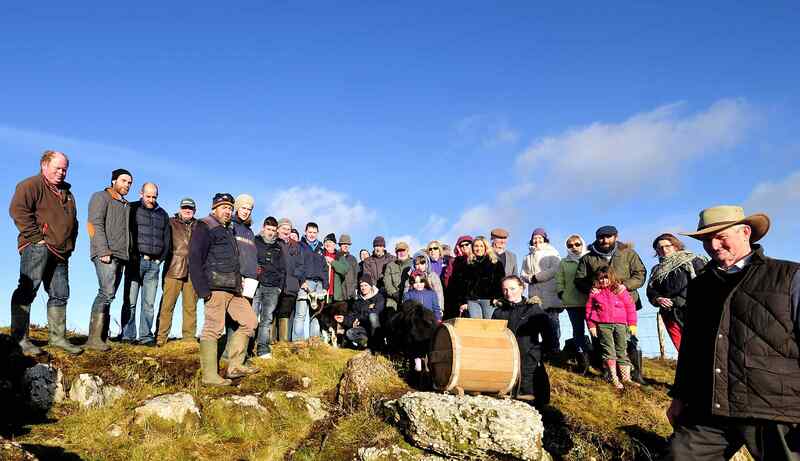 Imbolc Festival 2016 or ‘milking of the goat’ festival organised by the Slieve Bloom Association is now in its 4th year. This years Imbolc Festival will take place on Sunday 7th February. Meeting at 1:30pm in Dempsey’s Pub Car Park, Cadamstown, County Offaly and making our way from there to Spink Hill by 2pm. Imbolc Festival is a free, family-friendly event. Got a goat? Last years festival was really enjoyable. After a frantic search for a replacement goat for ‘Ginny’, Pilkos Pet Farm saved the day with ‘Nelly’. You can read about the search and how it all went, here. This year we invite those who have a pet goat to bring it on Sunday. Who know’s, your goat may be crowned Imbolc Festival Goat 2016. Hear old stories and traditions. Watch or take part in the ancient Imbolc Festival of the milking of the goat on Spink Hill and maybe churn the milk afterwards. No kidding!